The IT single’s visual features incredibly rare footage of the Suicide frontman. 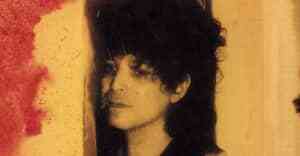 Last month, FADER Label released "DTM," the first single off innovative rocker Alan Vega's posthumous album IT. The Suicide singer, 78, passed away in 2016 and a new video for "DTM," which is premiering on The FADER today, captures him in his full glory. In the clip, directed by Brook Linder and produced by The FADER, footage provided by Marc Hurtado and The Cars's Ric Ocasek gets distorted into something completely new that showcases Vega's intense skills as a showman. Vega's 9-track project, IT, will be released on July 14 and you can pre-order it digitally here and on vinyl here.